Shelley Puhak was born in Washington, D.C. and grew up in Maryland. 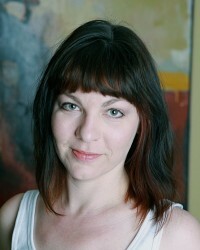 She holds an MFA from the University of New Orleans and an MA from the University of Delaware. Her first collection, Stalin in Aruba (Black Lawrence/Dzanc), was awarded the Towson Prize for Literature. Her poems have appeared in many journals, including Carolina Quarterly, FIELD, and Ninth Letter. She teaches at Notre Dame of Maryland University, where she is Eichner Professor of Creative Writing.